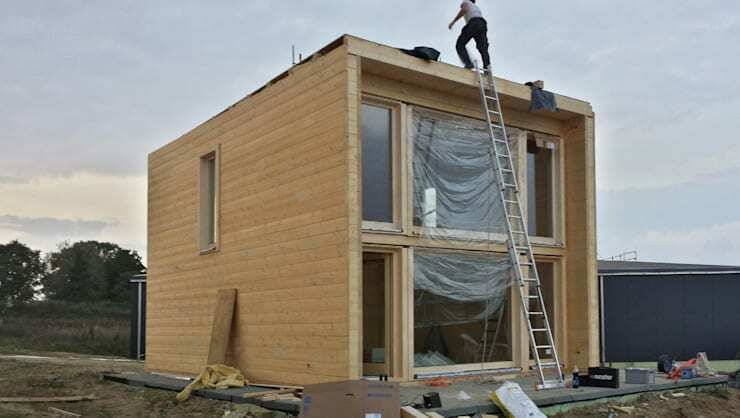 The possibility to order a house and enter it a couple of weeks later is a great advantage of modular prefabricated houses. The money that is spent on construction in the next 3-5 years (instead of the planned 1-2 seasons) are usually not considered to be written off from the accounts, although in reality are not at all contingencies, but simply unaccounted for. Self-construction is fraught with huge additional expenditure that cannot be effectively calculated, even with diligence and the making of a table of materials and cost estimates. As a result, your dream can be postponed indefinitely. As a rule, the construction takes 3 times longer than you expect, and worth 30-60% more expensive than you think in the end. Architectural firm, Thule Blockhaus, specializes in clients who do not like to wait, and do not want to deal with the hassle, shortcomings and mistakes. Their houses have a special guarantee, and the time it will take to pay your house to move, can take from 2 to 6 weeks. This particular project is built in the style of a trendy micro-loft with high ceilings in the living room of more than 5.2 meters. It is a home suitable for year-round living. Constructed of laminated veneer lumber with a total area of 84 sq.m. (including terraces of about 40 square meters), the architects arranged a place for living for 1-2 people or a couple with a small child. The most important thing about this house is that it is in the smallest area in a beautiful location, and you get a terrific place to live exactly where you want. Imagine the subtle grey sleeping areas of the lake, pine forest, a small hilly valley or the woods. In this photo you can see the house in one of the final steps in the construction process. The timing of this construction is about 1 to 2 weeks, plus the company sometimes takes time for the manufacture of certain building materials. For the construction of such a house requires a minimum crew (up to 4 people), whose work is included in the price of the house. This approach to a modern rustic building is becoming more and more popular, allowing you to implement the idea of luxury, such as a panoramic glazing. 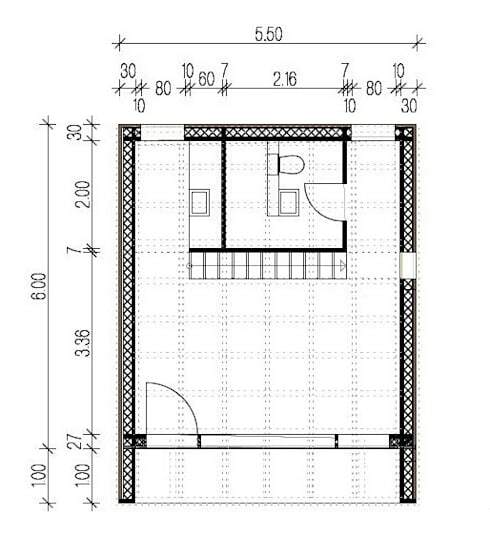 The cost of the house in its finished form, without plot, comes to about 38.800 Euros. 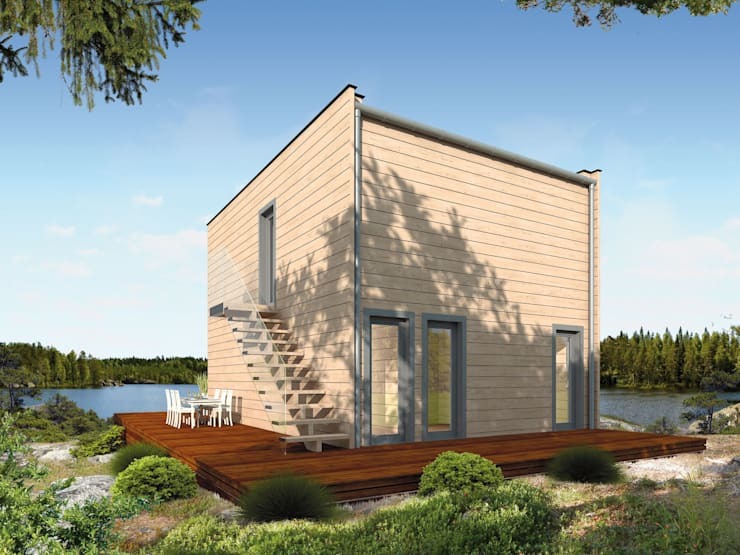 The layout of the type of micro-loft awaits you in the height and width of 5 meter high panoramic windows of several modules, which makes you the owner of a house in the traditional design of a cottage. 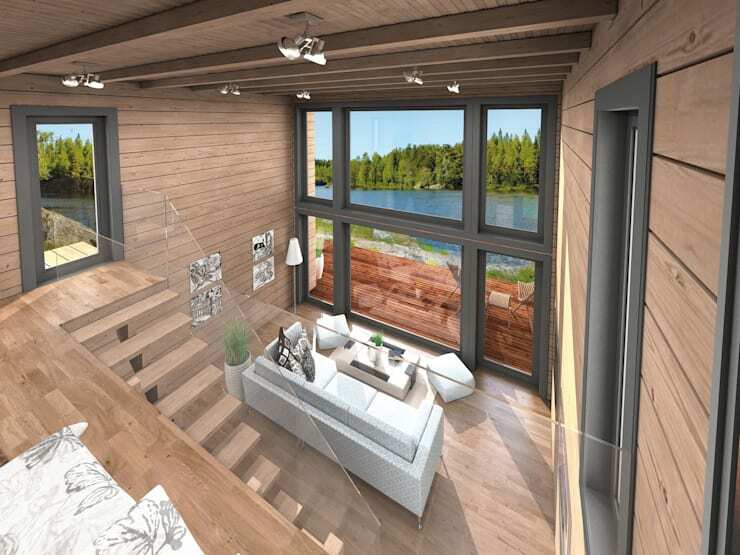 The distribution of the micro-loft also includes a bedroom area and wardrobe on the second level, with a view to the living room. On the ground you will find the living room of about 17 square meters, kitchen and shower room with a modern layout. Multi-terraces surround the house on three sides and has an area of over 40 square meters. They can accommodate a place for yoga, an outdoor dining room, patio, recreational space, bike park, or sunbathing spot. Now that you've seen this interesting project from all angles, we are sure that you'll agree it is a very attractive alternative to owning a home. We have seen some great prefabricated homes here on homify, such as this modern family home and this perfect prefab paradise. 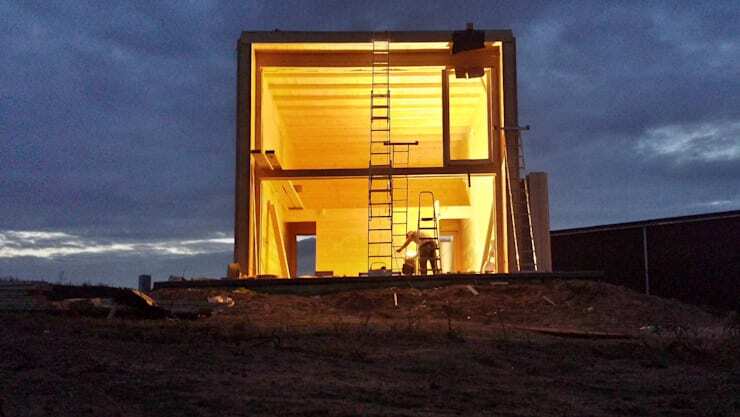 It is a fact that prefabricated buildings are rising in popularity and availability. So, get with the times, and buy your very own home at a fraction of the cost, occupying the space in a fraction of the time! 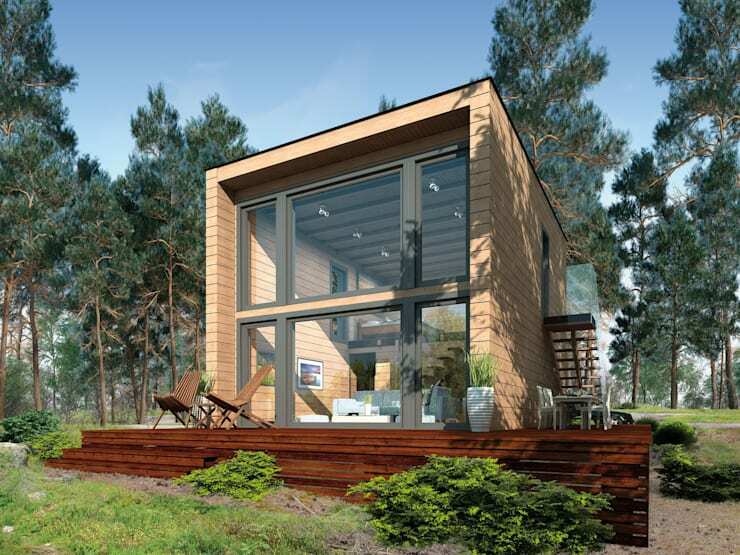 What do you think as this micro-loft as a prefab home?